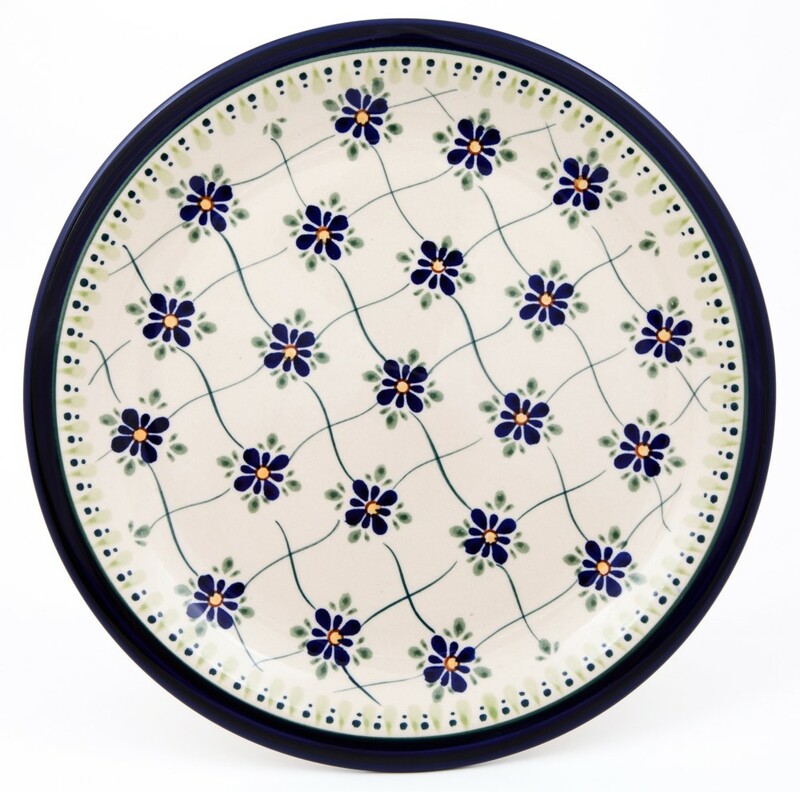 The Pottery Avenue SWEET HEART Lattice Dinner Plate is a versatile Polish Stoneware catering to all your dining table serving needs. This wonderful 11” handcrafted Stoneware offers the perfect portion for today's healthy lifestyle. The slightly curved edges and rim ensure the food served, stays in place. With famous white firing clay construction and patented formula glaze, this durable handmade Polish Pottery will not crack or chip easily and ensures superior durability. Express your inner self by creating your own mix and match sets, thus creating amazing place settings and an exquisite dinner table experience. Dimensions: Approx. 11" across and 1" high"